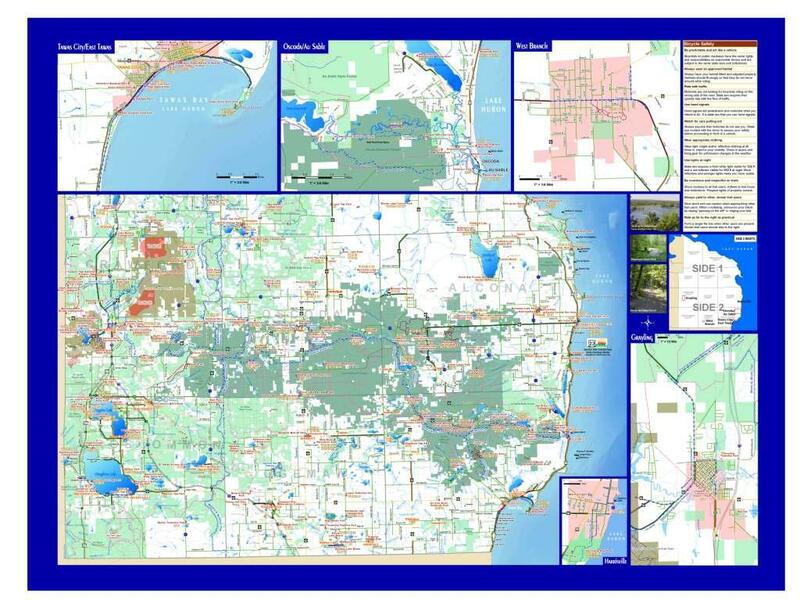 Download the Northeast Michigan Road & Trail Bicycling Guide! 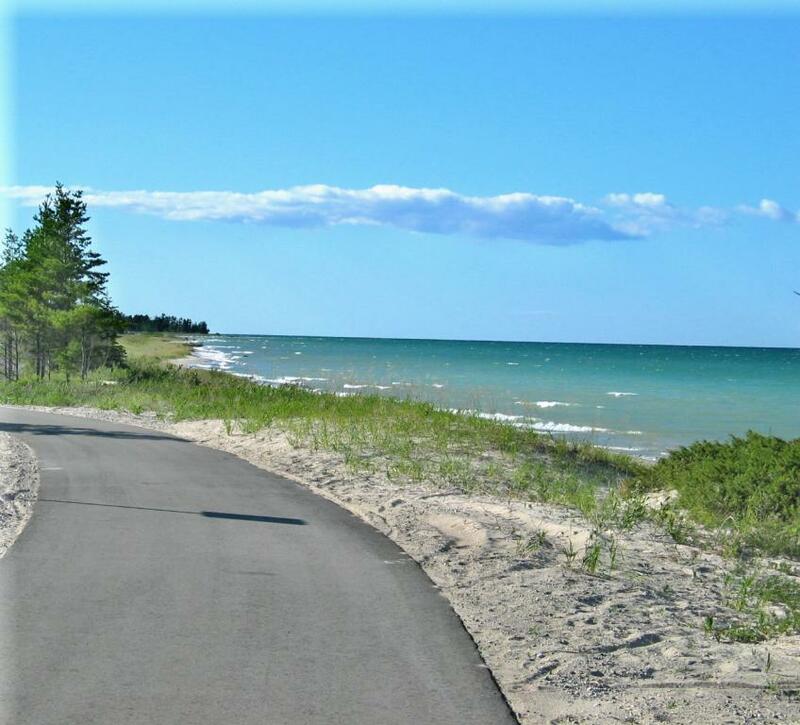 Explore bicycle trails, foot trails, snowmobile trails, and horse trails along the Sunrise Coast and all over the northeast corner of Michigan. 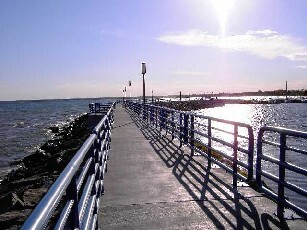 the Northeast Michigan Trail system has everying including pathways connecting parks in cities, pathways winding for miles along the Lake Huron coast, mountain biking and skiing in State Forests, trails deep in the heart of the Huron National Forest, paths along the mighty AuSable River, and the Shore to Shore Trail connecting Lake Huron to Lake Michigan. This map will show you trail type, roads with a 4' paved shoulder, typical traffic volume on all roads, parks, campgrounds, park amenities, wildlife viewing areas, lighthouses, ferry services, and other points of interest (including shipwreck locations)! An all in one guide to bicycling in northeast Michigan. 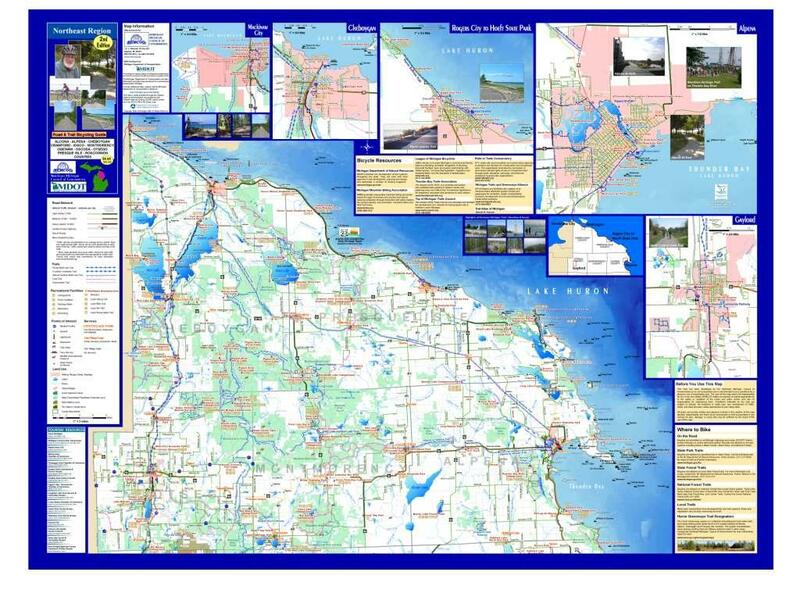 Either download the large format map or order a print copy by contacting NEMCOG at dmcline@nemcog.org. No charge for the map (only shipping charges apply).